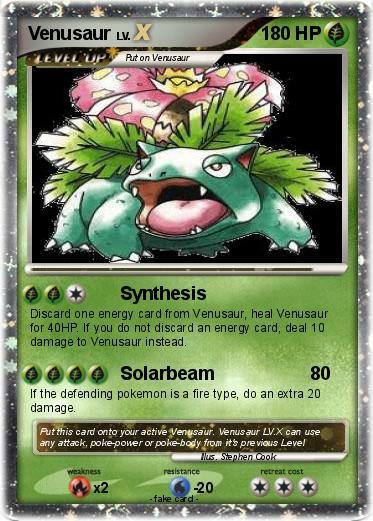 Discard one energy card from Venusaur, heal Venusaur for 40HP. If you do not discard an energy card, deal 10 damage to Venusaur instead. If the defending pokemon is a fire type, do an extra 20 damage.